Great service!Host seated us in a cozy spot on a busy Saturday night. Fish and chips eeredelicious, along with french fries and coleslaw.Can't wait to return! Excellent sandwich and friendly service. Thanks! Friendly service, nice ambiance, good food. Really enjoyed it! I’m vegetarian so had a low bar and the kale salad was actually so delicious. And the cornbread too. Yum! Prompt take-out service. The Hostess who took my order was very friendly & felt bad that she initially charged me for the wrong amount, & in turn, gave me a free clam chowder & cornbread for the inconvenience & error. The dinner was great. Tuna was very fresh and tasty. Beet said salad was one of the best I have had. Warmly welcomed me and valued me as a customer. Comfortable, fun atmosphere and great selection of fresh seafood! The crab cakes were delicious! you can get it in a crab cake BLT sandwich and I ate the cake and BLT separately because it was so good!! Friendly staff, big TVs showing the games, enjoyed it! The food and service was great! 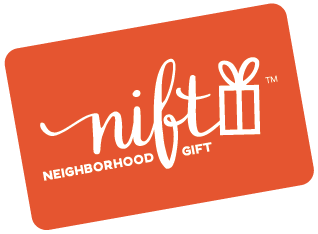 Without the Nift, it would have been a little pricey. Otherwise, awesome! Great atmosphere. The food was tasty and the staff was welcoming and attentive. Their homemade chips were amazing! My server was really nice and the food was good. The crab cake benedict comes with one cake and 2 poached eggs. As i was leaving, I noticed lots of children, and the menu for them looks stellar! Had a really great lunch. The waiter was very friendly and the food was great. I loved the variety of oysters they had on the menu and the decor was very warm and welcoming and gave off the vibe of a classic seafood shack. Nice to revisit an old favorite...consistently great! Very good restaurant, the drinks were amazing. Food was wonderful! Our server was super friendly and the atmosphere was great. Went with a friend and we both agreed to come back soon! Great service and nice food for a reasonable price for that area. Great seafood, good music. Some of the better crabcakes I've had in the area.Liked it so much we went back twice in 2 days. The tuna burger was yummy and the service was excellent! Will definitely go again! Excellent meal, fresh fish and well prepared vegetables. The food was excellent, and so is the service! Our waiter was so sweet, we had such a great time here! The fried chicken was excellent and the bermuda fish & crab chowed was really tasty. Phone wasn't connecting to cell service so they had to manually enter in the code, which worked! It would be great if there was a way to use the Nift without cellular data. Portions were generous, food was pretty good but nothing spectacular.